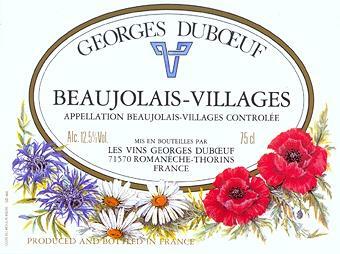 This Beaujolais-Villages is a decent wine for the price and displays the more complex side of the Gamay grape. Knowing about the Cru wines from Beaujolais and how they are even greater than the village wines makes me excited to taste them. This wine had a great nose that had hints of cola and cherry and was quite quaffable. Definetly the poor mans Burgundy but better than I had pictured. The 2005 is probably even better and less flat and more vibrant. I can't score it because i have little experience with Gamay wines but I thought it was very interesting indeed. Excellent blog! superb writings about taking care of hart & soul! Through your blog post and reading public are the writings, I have come to know many important things The content impresses me. Thanks! :).